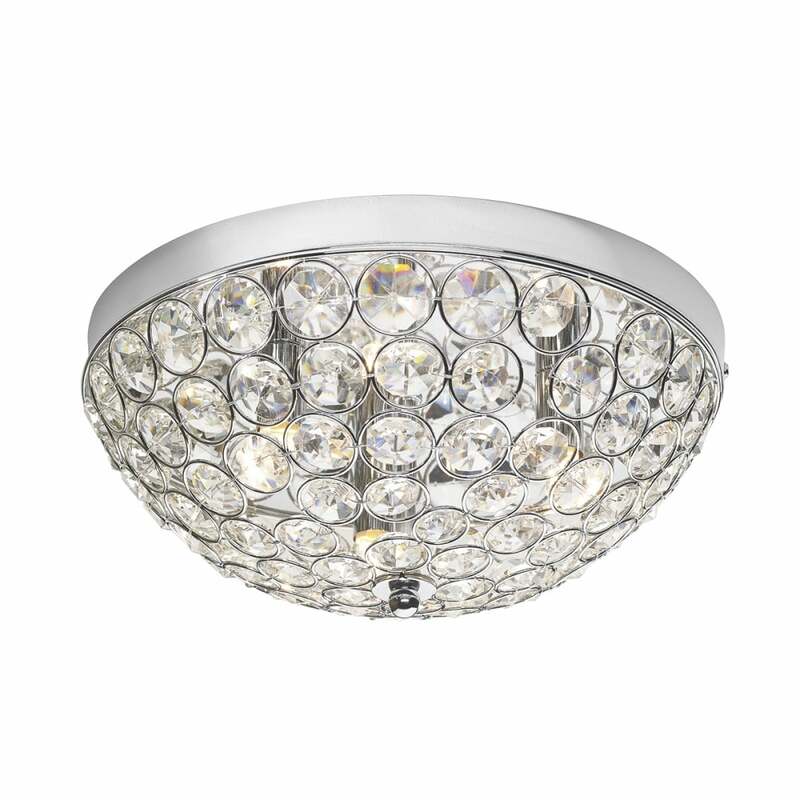 A contemporary and decorative modern design flush fit ceiling light in polished chrome with a faceted crystal beaded shade. This would be ideal for lighting in modern rooms with low ceilings, it is double insulated for safe use without need of an earth wire and can be used on a dimmer switch providing the bulbs used are also dimmable. Perfect for adding sparkle to any contemporary room.